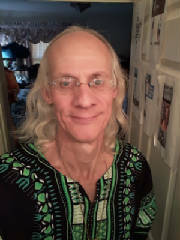 Hello my name is Joel Quinn A. LMT, CNA, EMT, Massage therapist in Atlanta for over 34 yrs. I was first introduced to the Electro-Acuscope and Myopulse Systems back in 1985 at the Neuromuscular Center in Atlanta which has moved to Sarasota Florida they are now Gabrielcenterforwellness.com former owners of ASHA, the Academy of Somatic Healing Arts, in Atlanta. I was fortunate to be the test subject in a demo and in 10 minute's It removed stress & pain in my back I didn't even know I had, I was so amazed that I plan on opening my own Body Blance Holistic Learning Center using the Electro-Acuscope and Myopulse Systems where we teach people how to get well and stay well without the use of drugs or unnecessary surgery. FREE 20 minute brain tune up or get $20.00 off your first 60 or 90 minute session. This amazing technology is not new it's been on the market and used by only a few medical doctors, massage therapist, chiropractors, naturopathic doctors and a hospital in Mexico since 1979. Fortunately for me there is little to no competition. The inventor of the acuscope-myopulse, Dr. Anthony Nebrensky, is a respected physicist who designed and helped create the familiar, trusted medical tools we know today such as the EEG, EKG, and EMG. He also developed missile guidance technology for the U.S. military. A secretive Czech scientist Anthony Nebrenskey immigrated to the US during the cold war, worked on the star wars defense system, developed missile guidance technology and the lie detector test before inventing the Acuscope. Some people said that it could cure "every disease in the world" but when it wasn't adopted widely Nebrensky disappeared from public life and then, according to a source, became a billionaire using the algorithms behind the device to manipulate the stock market. He turned his attention to a revolutionary new healing technology which evolved out of research in electro-acupuncture. His work resulted in the creation of the Electro-Acuscope and the Electro-Myopulse, healing technologies for the 21st Century. Chronic Pain, Aging and Stress Stop Here! You must experience the remarkable "energy medicine" provided by the Acuscope, Myopulse and Neuroscope "Feedback Controlled" microcurrent systems for pain control, anti-aging, sleep disorders, accelerated healing and wellness! The Electro-Equiscope® is truly unique device that is controlled by a Sophisticated Guidance System correcting injured or abnormal tissue. The Equiscope® is result driven electrical therapy. It normalizes and relaxes damaged tissue, thereby allowing the body to return to homeostasis and heal itself. The Equiscope® combines Picocurrent, Analog and Digital two-way feedback, adjusting its electrical therapy through the skin. Our non-invasive Equiscope® therapy is a painless calming experience, delivering results within three sessions. The Thorp Institute of Integrated Medicine is located in Encinitas in San Diego County and is the premier training provider for Electro-Equiscope Technicians. If you are interested in Equiscope Technician Training or Therapy, call 858-539-6111 now to schedule an appointment. "I was in a car accident in February 2002, resulting in an injury to my lower back and experiencing severe pain. The bulging disk was not healing, and the pain was barely lessened by the monthly steroid injections into my spine (epidural). After just three treatments with these amazing machines, my pain was gone and I could walk and function normally again. Two months later, without further treatments, the pain has not returned." C. J. As we move into the 21st Century, we are sure to see exciting advances in medical technologies and treatments. New modes of healing will undoubtedly move us beyond surgery and drugs as the primary treatment modalities, and into energy medicine. The Electro-Acuscope and Electro-Myopulse are promising new technologies that bring about healing in a revolutionary manner, giving new hope to sufferers of chronic pain. Physicist Dr. Anthony Nebrenski, an electronic genius who developed missile guidance systems for the Star Wars project also helped develop the EEG and EKG. In 1979, he turned his attention to a revolutionary new healing technology which evolved out of research in electro-acupuncture. His work resulted in the creation of the Electro-Acuscope and the Electro-Myopulse, healing technologies for the 21st Century. In 1986, John Thorp, a professional Hollywood stuntman, shattered his right leg in over 56 pieces. Surgical repair with pins, screws, and plates left him with chronic pain, and a prognosis of never bending his knee again, walking with a cane, and developing painful arthritis. At the time, John was working with actor Lee Majors. Lee recommended that John try a therapy that was showing excellent results among professional athletes. That therapy used the Electro-Acuscope and Electro-Myopulse. One year later, to the astonishment of his doctors John ran his first of over 28 triathlons. After 17 years, the knee is still arthritis free. John developed a passion to help others experience the same miracle these machines brought to him. He spent 17 years in healing practice researching and developing extensive treatment protocols to most effectively use these machines. His protocols have been so successful that he has gained the endorsements of Cedar Sinai, Castle Medical Center, Maui Memorial Hospital, and UCLA, among others. "I sought treatment the day after slamming my finger in the car door. My little finger was totally black and blue, including the nail, and very painful. I could not move it. I thought I might lose my nail. During the first treatment we literally watched my finger ‘pink-up,' along with the nail. By the end of the second treatment, I could move my finger again without pain. I never did lose my nail!" T. M.
When tissues are diseased or damaged, the normal electrical flow and functioning of the body is disrupted at the cellular level. The cells experience "their power being shut off." Nutrients are unable to flow into the cells and toxins are unable to be released. This results in increased electrical resistance in the problem area, causing the body's electrical currents to flow around the damaged tissue. The Electro-Acuscope has the capacity to drive the current through the resistance and stimulate rapid cellular regeneration. These are state-of-the-art computerized medical instruments. Both machines are FDA approved. They are programmed to "read" tissue at a cellular level and compare those readings to optimal or healthy tissue. The computer then selects the appropriate corrective signal and delivers it to the damaged tissue. The machines continue to read and treat until the tissue electrical flow is normalized. 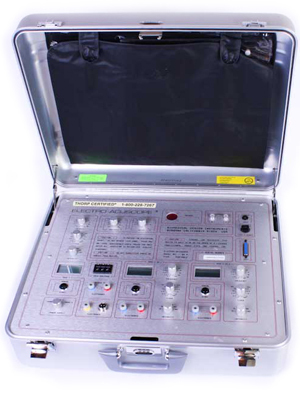 The Electro-Acuscope is designed to specifically heal neurologic tissues and read all body tissues and systems as well. 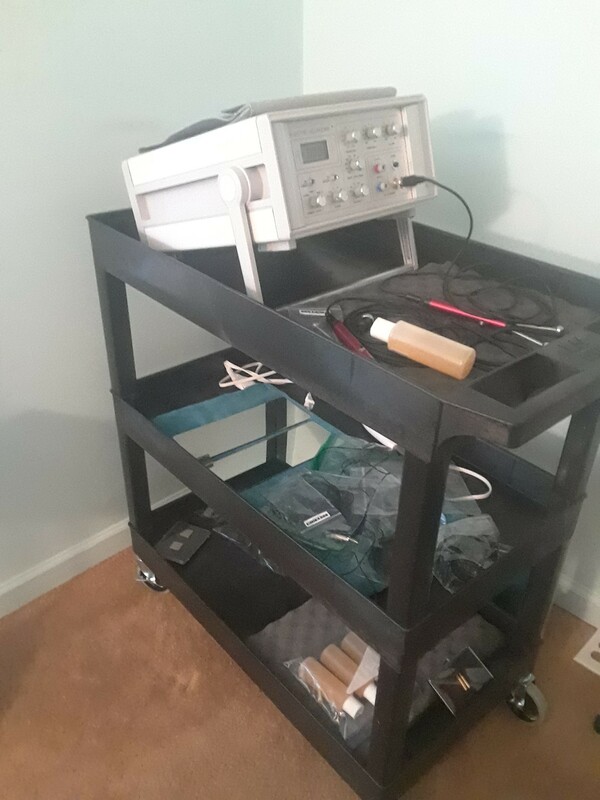 The Electro-Myopulse specializes in healing connective tissues such as bone, muscle, tendon and ligament. 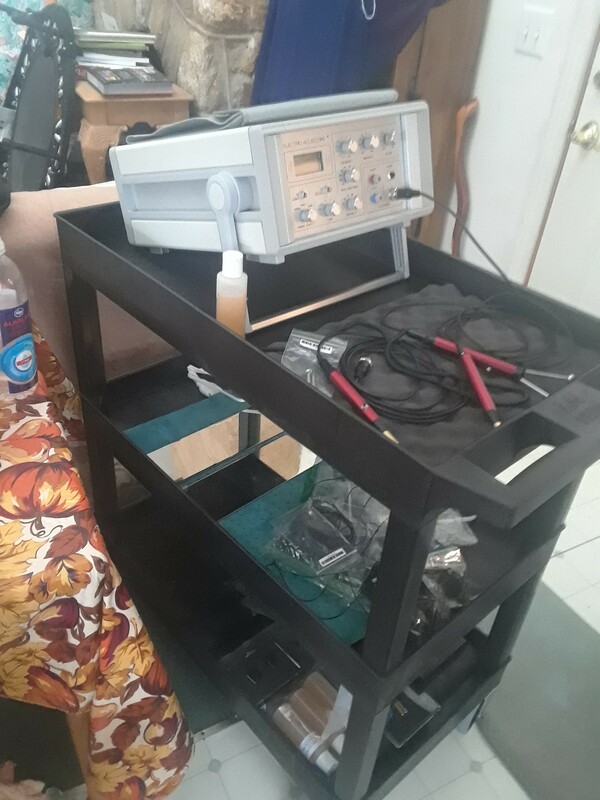 After we learned about the Electro-Acuscope/Myopulse, we were so impressed with the results it produced that we committed myself to bringing these machines out of the world of elite athletes, Hollywood stars, and even the Pope, to make this technology available to the general public. This technology has been used by such notable athletes as Wayne Gretsky, Jack Nicholas, and Mary Decker Slaney, to name a few. Hollywood stars, including Lee Majors, Cybil Shepard, and Cloris Leachman, have discovered the amazing benefits of this technology. Even Pope John Paul II has several of these machines at the Vatican. These machines are bringing phenomenal results in applications as diverse as sports injuries, auto accidents, repetitive motion injuries (carpal tunnel), arthritis, stress reduction and insomnia. The general public now has promising new modes of healing to fight chronic pain, giving us a glimpse of the things to come in this exiting new Century. Electro Acuscope / Myopulse the Electro Acuscope / Myopulse is a sophisticated electro-therapy unit that introduces a low voltage micro-current through injured tissue and accelerates the healing process. The Electro Acuscope / Myopulse is different from conventional forms of electrical stimulation (i.e. T.E.N.s, Interferential therapy, and Galvinic stim.) in that it facilitates tissue repair and promotes cell regeneration at an accelerated rate. It is an amazing treatment! It literally regenerates injured tissue by repairing damage at the cellular level. Because of its profound effects on tissue repair, the Electro Acuscope / Myopulse system can be used successfully in a broad range of neuro-musculo-skeletal disorders - both chronic and acute. When treating acute injuries, the recovery time is usually cut in half. This treatment works on all kinds of neurological and musculo-skeletal disorders, and the greatest thing about the therapy is that the results are lasting. When combined with other types of healing modalities such as Active Reflex Techniques (ART), the results are generally permanent. Do you want to take control of your chronic pain and reduce or eliminate it? Are you looking for the most effective microcurrent modality that will take your pain management practice to the next level of success? Do you want to reverse the signs of aging, look younger and feel healthier? Then you must read the pages in this site to see why doctors and therapists are raving about the Acuscope and Myopulse as being a revolutionary breakthrough in accelerated "healing and wellness"! Trusted by all healthcare professionals across North America for over 25 years, the Acuscope and Myopulse have proven themselves to be consistently effective in chronic pain control, trauma rehabilitation, anti-aging and accelerated healing. 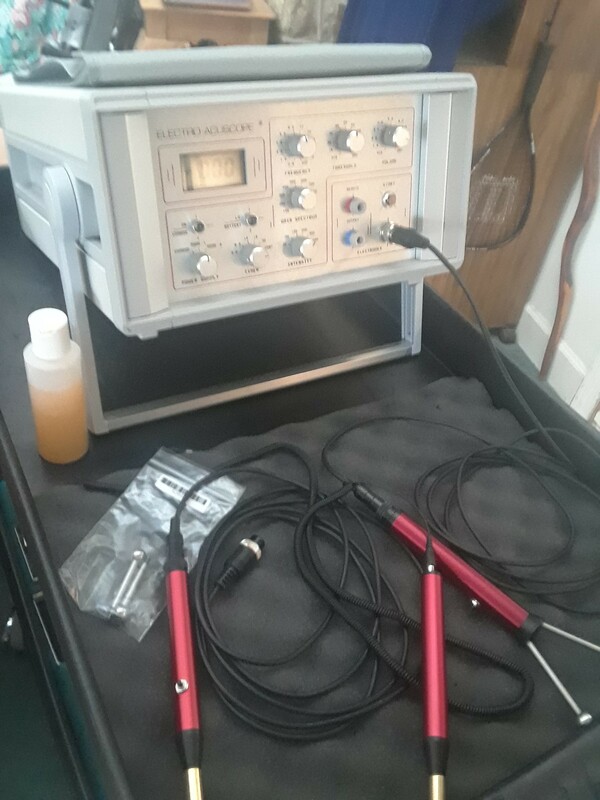 microcurrent instruments stimulate "tissue repair" rather than "muscle contraction". Utilizing proprietary "carrier wave" technology, the instruments' feedback modulated microprocessors gathers tissue impedance information and in turn provides a gentle current with "waveform control" that "whispers" at tissue accelerating the body's own natural healing abilities. Your practice and patients will experience unparalleled results with the therapeutic effectiveness of the Electro Acuscope, Myopulse and Neuroscope (home care unit). Want to look and feel younger? Check out the Myopulse Facial, a must in today's anti aging boom! These instruments will consistently surpass all other pain and anti-aging modalities when used to complement your manual therapy skills. You can now offer a new client base & profit stream into any licened health care facility with these Amazing Space Age Instruments. The THORP INSTITUTE of Intergrated Medicine presents State of the Art Instruments designed to promote cellular homeostasis, FDA approved, Non-Drug, Non-invasive, Accepted by Most Medical Insurance, "Class 2" Medical Devices. The Electro-Acuscope & Myopluse have had outstanding results in the treatment of pain assocated with the folling conditions: Wound Healing, Carpal Tunnel Syndrome, Alzhemier's Disease, Parkin's Disease, AIDS, Broken Bones, Herpes/Shingles, Chronic Fatigue, Arthritis (Osteo & Rheumatoid), Neurological Disorders, Vision, Hearing & Balance, Multiple Sclerosis, Spinal Cord Injuries, Plantar Fasciitis,TMJ, Nuropathy, Nerve Entrapment, Fibromyalgia, Sciatica, Detoxification, Vascular Disorders, Epstin Bar, Allergies, Acute & Chronic Back Pain, Headaches, Disc Injuries/Tendonitis, Dental/Periodontal, Infertility/Impotence, Also used by Beauticians & Estheticians (Facials), Veterinary Care & much more, (a 90%+ success rate in the reduction of chronic & acute pain). PLEASE watch video's. enjoy! Our equipment also increases performance as we've treated top professional athletes and thoroughbred race horses. 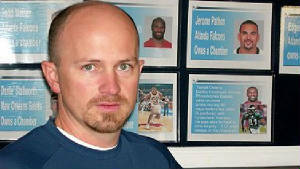 Listen to what some of our World Class Athletes / Trainers have to say about Equiscope therapy and the Thorp Institute. Dr Stephen Sinatra M.D. and his son, Step Sinatra, share their experiences after being treated with the Electro Acuscope and Myopulse by John Thorp using his Electro Toxicology Protocols. There are no words to describe how thrilled we all are here at Intelligent Bioenergetics, and Sinatra Racing stables to repeat the biggest win in the Sinatra Racing stables history of over 45 years. Sinatra Racing's Admiral's War Chest won the Jim McKay Maryland Million at Laurel Race Track, with a five-year-old for the second consecutive year. 1. Proper nutritional support developed by Dr. Sinatra, 2. Excellent chiropractic training, and 3. Electro-ceuticals delivered using the Electro-Equiscope® by the husband wife team of Corby & Ali Caiazzo. Meanwhile on the same day over at Belmont Park, Sinatra Racing's Meckeys Madalyn took a second place finish in a highly regarded stakes race, running without Lasix. Lasix is a powerful diuretic that is banned from use in race horses in Europe. It prevents the lungs from bleeding. Bleeding is the defense mechanism that takes the pressure off of the heart when the lung blood vessels over load and bleed. but if they do not have a release, the side effect can be a massive heart attack, one of the leading causes of death in a race horse. Our goal has been to win drug free and naturally with regular Electro-Equiscope treatments and that is what Meckey's Madalyn has been doing on a consistent basis. accelerated "healing and recovery "